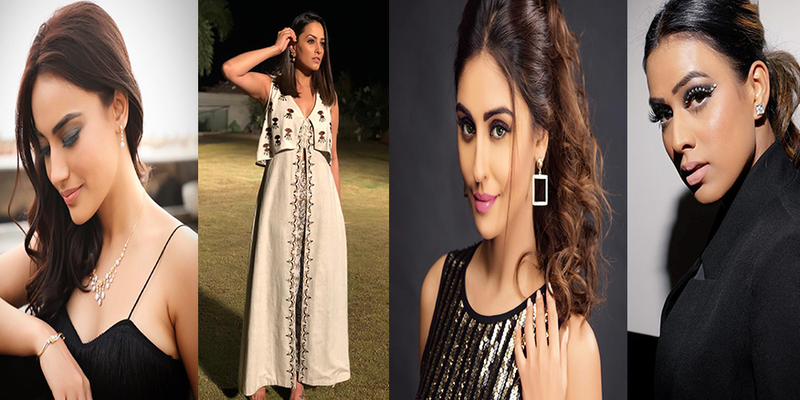 Surbhi Jyoti, Nia Sharma, Krystle Dsouza, Anita Hassanandani – Here’s Telly Town’s All The Gorgeousness In Single Frame! There’s no dearth of glitz and glamour when it comes to television world and all of it comes from these solely gorgeous ladies that emit class, style, grace, oomph and sensuality, all in one. Watch out here for the bunch of these lovely ladies together having a fun time at a private party . Pretty popular Surbhi Jyoti, Heli Daruwala, Nia Sharma, Krystle D’Souza and Anita Hassanandani are a few to be named that dazzled at the party. From the abundant pictures of these beautiful ladies on social media, looks like fun, frolic and music were at peak. Not to miss each one of them looks stunning as usual with each emerging like a style queen. Anita and Surbhi look great!!! !